Whittier College announced Wednesday that it will no longer admit students to its law school. While currently enrolled students will be able to continue through graduation, the law school is effectively shutting down. A statement  from the board of Whittier College said the board has been considering the future of the law school since 2015 and considered options such as having the law school become part of another institution. But none of those plans worked out, the statement from the board said. "We believe we have looked at every realistic option to continue a successful law program. Unfortunately, these efforts did not lead to a desired outcome," the statement said. A statement posted on the law school's website (since removed), with a notice that it could be attributed to the law school, criticized the board's decision. "We are obviously devastated by the Whittier College Board of Trustees’ decision to discontinue the program of legal education at Whittier Law School," the statement said. "For more than 50 years, we have provided a high-quality education to students of diverse backgrounds and abilities -- students who might not otherwise have been able to receive a legal education and who are now serving justice and enterprise around the world. As is well-known, the last few years have been extremely difficult for law schools across the country. Whittier Law School felt those challenges keenly, and we took significant steps to address them. Sadly, our sponsoring institution opted to abandon the law school rather than provide the time and resources needed to finish paving the path to ongoing viability and success. We believe this action was unwise, unwarranted and unfounded." Nearly two-thirds (64 percent) of the students at the law school are not white, and Whittier law faculty members have long pointed with pride to their efforts to promote diversity in the legal profession. A slight majority of students are women. The college says that it is the third most diverse law school in the country. At the same time, Whittier law graduates have struggled on the job market. Data published by the law school about job placement show that just 30 of the school's 141 graduates in 2015 had gained full-time employment that required passing the bar. Preliminary data for 2016  show that 38 of that year's 128 graduates were employed in such positions. 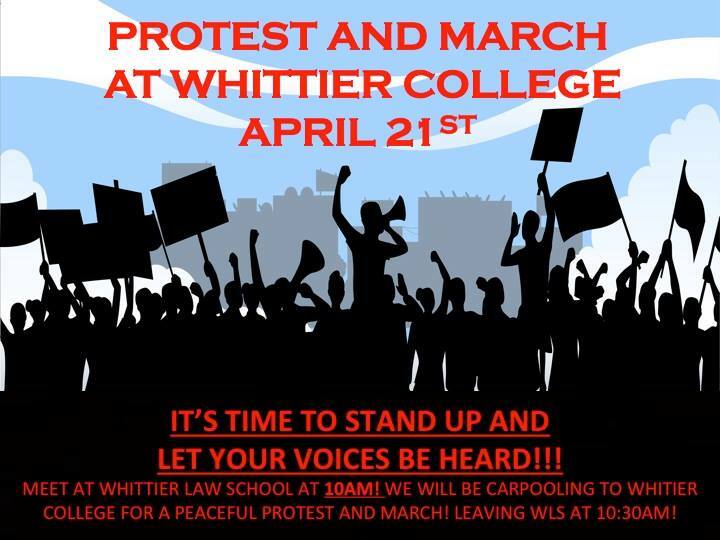 Some law school faculty members have gone to court -- so far without success -- seeking to block Whittier from moving to close its law school. A brief  filed by the faculty members says that Whittier College is seeking to profit from the land on which the law school is located and is violating agreements with professors. Students at the law school are planning a rally to protest the decision to shut the law school.